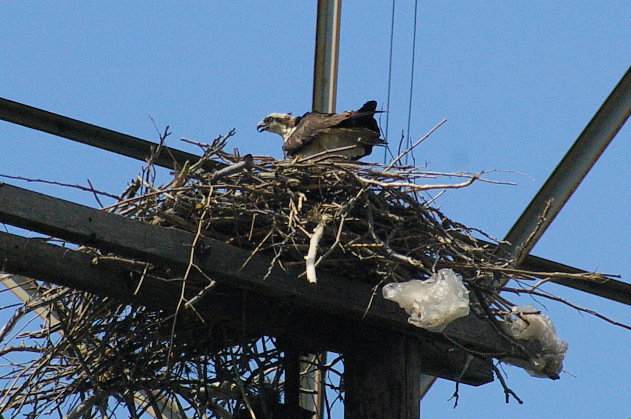 As Environmental Jim O'Neill of The Record writes in today's editions, there appears to be a very good chance of a successful Osprey nest in Kearny this spring — the first in recent memory, and only the second along the lower Hackensack in decades. The other is in Jersey City near the PSE&G plant. The Record's story, which also goes into fascinating detail about the Common Ravens of Laurel Hill in Secaucus, is here. It's an excellent read. 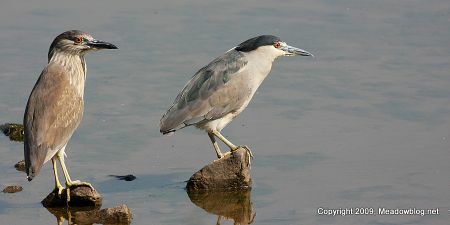 Our Hackensack River Eco-Cruises begin next Tuesday (May 19) and Wednesday (May 20) at 5:30 p.m.
We are hosting a free nature walk at Harrier Meadow on Friday, May 22, at 11 a.m. for an early kickoff of Memorial Day Weekend. We are hosting a trail clean-up and free nature walk at Mill Creek Marsh in Secaucus to celebrate National Trail Day on June 6. We are hosting a Father’s Day Canoe Paddle on June 21 at 8:30 a.m. at Mill Creek Point Park in Secaucus. Click Continue reading…" immediately below for more information on the walks, eco-cruises and paddling tours.